For a quintessential NYC experience, catch a world-class concert, comedy show, or fun sporting event at Midtown's iconic Madison Square Garden. Throughout the years, MSG has hosted artists from Beyoncé to the Rolling Stones and showcases everything from annual family shows like Disney on Ice to resident performers including Billy Joel and Phish. 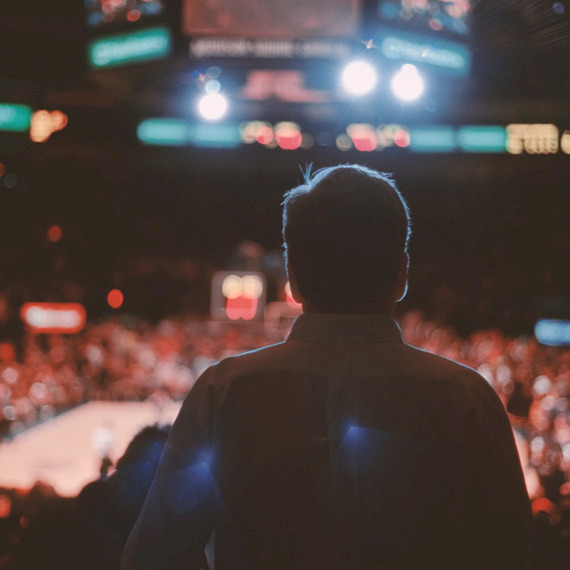 Located above Penn Station, the world's most famous arena and theater is also home to the NHL's New York Rangers, the NBA's New York Knicks, and the WNBA's New York Liberty teams. Get your tickets to all the pulse-pounding action at MSG, an easy walk from The Evelyn Hotel. Saturday from 10 am to 6 pm, and 90 minutes before the event start time. Where is Madison Square Garden box office and will-call? If you have tickets waiting at will-call, you can pick them up at the box office at Madison Square Garden located just at the base of 4 Penn Plaza on 7th Avenue between 31st and 33rd Streets. The box office is open Monday through Saturday from 10:00 a.m. to 6:00 p.m., and Sundays at noon, or 90 minutes before the event start time. Tickets can be purchased anytime via www.ticketmaster.com. How do I get to Madison Square Garden? You can walk to Madison Square Garden from The Evelyn hotel in less than ten minutes. Located at 4 Pennsylvania Plaza on 7th Avenue between 31st and 33rd Streets, MSG sits directly atop Penn Station where you can catch several subway lines, New Jersey Transit, Amtrak, and Long Island Railroad service.